When it comes to industrial manufacturing and warehousing space there are many components that make for an efficient and successful layout and workflow. Safety is a big concern so employees avoid physical harm especially in the path of forklifts and other heavy traffic. Another issue is the ability to enter, exit and close off specific work areas quickly and safely. 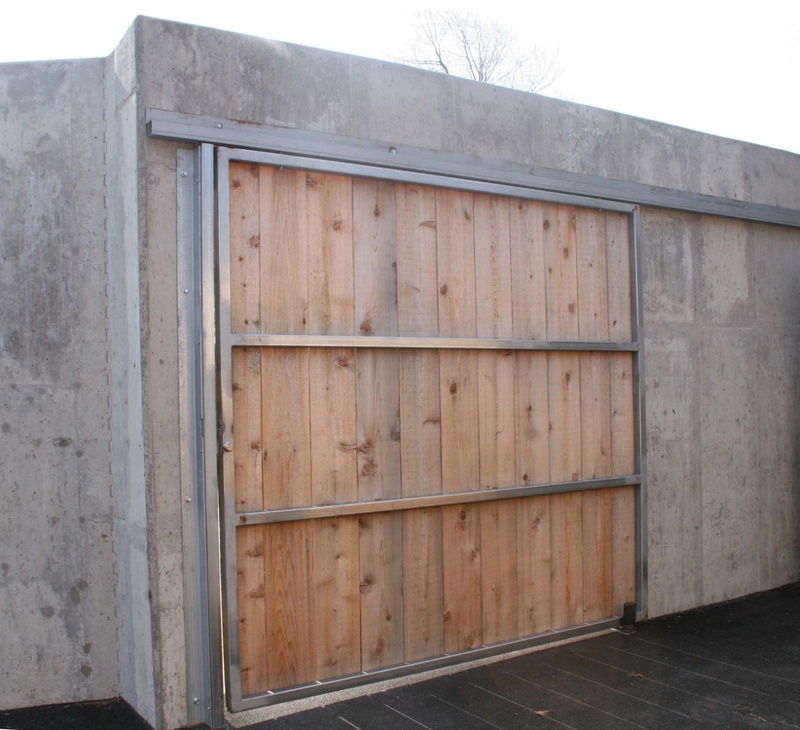 Industrial doors, whether sliding doors on box track, overhead doors, or swing doors on hinges, pose a unique challenge: doors for big spaces are typically very large and heavy, often weighing 1000 pounds or more. Choosing the right style of industrial door and door hardware for proper operation is important. Swing doors with strap hinges are often used in areas that don’t need the space efficiency of a sliding door, or for manufacturing processes that require a heavy door with a tight seal such as in a product washing bay, a sand blasting area, a paint booth or finishing oven. These doors can require three or more industrial strap hinges per door leaf to distribute the load evenly. When properly outfitted with correct hardware even heavy swing doors open effortlessly so workers can access product quickly and efficiently. Manufacturing facilities often employ large sliding doors on box track for many applications. If there is insufficient clearance for a single sliding door, then bi-parting (double) doors are also commonly installed. 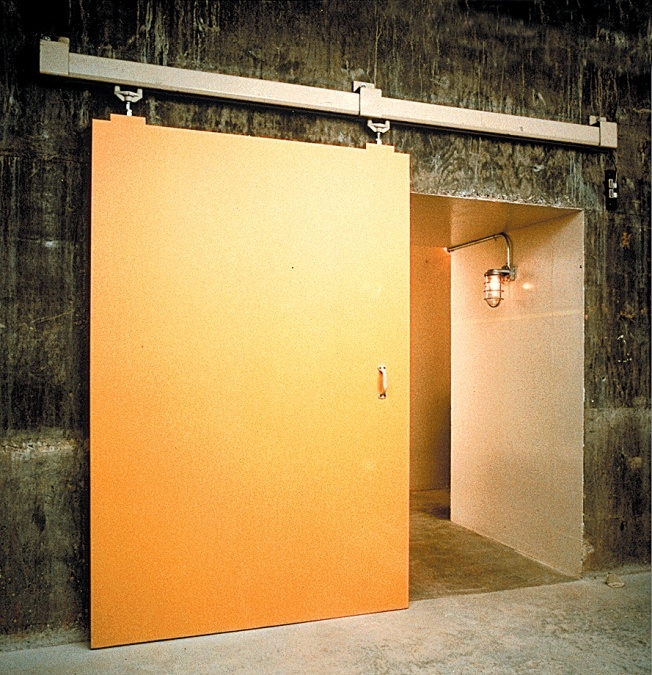 Most of the time these doors are used to divide work areas or used in service areas such as shipping and receiving, vehicle maintenance shops, and tool cribs. Sliding doors with box track are also used in places of frequent access where an open swing door would be hazardous. Most typically sliding doors are manually operated. When the right size track is paired with the properly sized hangers even very large and heavy doors in excess of 2,000 pounds can be easily moved by one employee. However, just like an overhead door, sliding doors can be power-operated for especially heavy and large doors, or just for convenience. Factories can be very grimy places but the enclosed box track design is inherently clean, shielding the trolleys from most dirt, so there is little or no maintenance for these hard working industrial door systems. Whether your new manufacturing facility or warehouse needs swinging or sliding doors, choosing the right type of door and door hardware is essential to keeping your operation at top efficiency. For more information about a wide variety of industrial door hardware, contact the professionals at Richards-Wilcox today.